AfterTheBuilders Ltd. is available 7 days a week to take care of your electrical installations in Willesden, NW10. Call now and get a free quotation! If you are looking for an electrician who has proven their dexterity and professionalism during the years, you can stop searching and take a look at the wide variety of electrical installations we are capable or providing at a fair price. We are popular in the area of Willesden, NW10 as a reliable company that takes customers issues and requests wholeheartedly. We know how unpleasant it is to have a problem with the sockets, fuses or the lighting in general and we are ready to fix it as soon as you give us a call and have a short conversation with our friendly call centre representatives. I used your company’s electrical services for installation of our new ceiling lights in my house. Your electrical technicians arrived very fast and did this work successfully and in time. We had problems with the electricity, which caused us a lot of damage. After calling your company, your electricians did the necessary repairs and installations and now everything is fine. 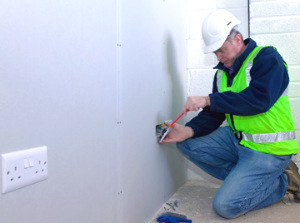 Q: How often should I test the electrical installation of my home? A: It is recommended to make a safety testing every five years. Q: I'm a small business owner, should I test my appliances? A: It is legal requirement to all businesses to test their appliances. 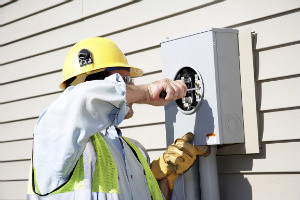 Q: Can I check the electrical installations by myself? A: No, you should call registered electrician. Q: Are your electricians registered? A: Yes, all our electricians are registered and certified. If you need help with the electrical installations in your home, you can now choose our outstanding services in Willesden, NW10 and you will immediately forget about these problems. Whether it comes to a simple repair or to more complicated change, we will be glad to come and provide all the procedures that will be required. For that purpose we have hired a team of very devoted electricians that will take up with the works as soon as they come into your home. The prices within us are very moderate and they are fixed, so you shouldn’t doubt our loyalty in any way. One of your kitchen appliances stopped working and you have no idea where the problem may stem from? 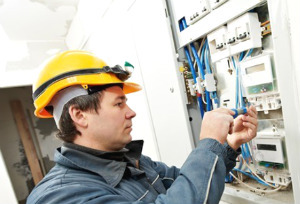 All too often the old electrical installations cause many more or less significant problems. That’s why they have to be handled by experienced electricians who know how to avoid any further damage or accident. We are a company that offers various electrical services for the area of Willesden, NW10 and we guarantee that the final results will be satisfactory. Regardless of the seriousness of the issue, we will do our best to fix it promptly while keeping the disturbance to the minimum.